Finally, I ought not let the week pass without noting that Raymond Smullyan celebrated his 97th birthday on Wednesday... and that's the truth. Obviously, entire books have been written on each of these topics, so the 30-40 pages Stillwell delegates to each subject can only hit upon various historical, philosophical, and mathematical high points. Yet the volume does definitely go beyond elementary concepts. The writing is clear, succinct, organized, and the diagrams/illustrations excellent. 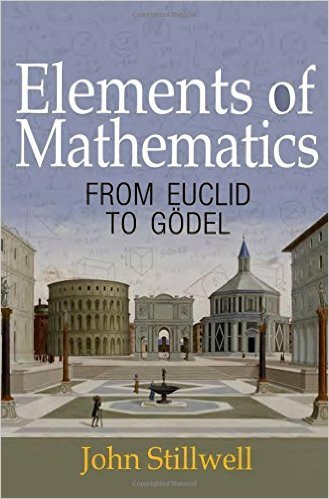 It is a rich, but somewhat dry read (as most mathematics is), and not directed to a lay audience, so much as the college-level math student or professional. While some of the discussion is introductory or elementary, it always leads to deeper, more challenging ideas. The entire last chapter brings up still more advanced tidbits related to each of the topics already covered. I especially like the way the volume weaves between historical, philosophical, elementary, and more modern content, as well as math problems/examples, without lingering too long in any one spot. I think this will make a fine basic addition to most mathematicians' bookshelves, unless you are so specialized that general math overviews don't interest you. The only other question is whether you may already have enough of this content on your shelf already, and even then I suspect you will find several new, interesting ideas in Stillwell's presentation, including perhaps the discussion of "reverse mathematics" within modern-day logic. This isn't one of the most scintillating reads in popular math so far this year, but for the pure mathematician it is one of the more instructive. First off, I'll just say this is a remarkable book... maybe??? 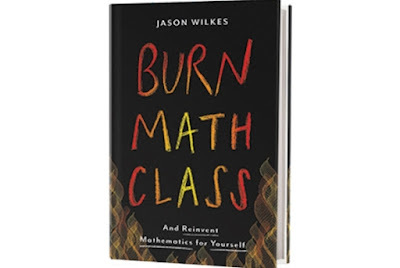 I have finally slogged my way through Jason Wilkes' "Burn Math Class: and re-invent mathematics for yourself" (though I need to re-read many parts). And I don't mean the word "slogged" necessarily in a derogatory way, but only to acknowledge that this book is ultimately a mathematics textbook of sorts... the most NON-textbook-like textbook I've ever run across, but still principally a textbook-in-sheep's-clothing. Wilkes employs his own jargon, his own order and approach to subject matter, his own intuitions, and even Douglas-Hofstadter-like invented dialogues and other quirks to pull the reader/student along. Last year I was calling Michael Harris' "Mathematics Without Apologies" one of the oddest math books I'd ever read; this year Wilkes' book may ascend to that throne. As I wrote earlier about the volume, I enjoy seeing authors go 'outside-the-box' and take risks, which Wilkes does in spades here, and I admire him greatly for that. Wilkes apparently struggled with math in high school, only to later learn mathematics "backwards," starting with calculus, in large part figuring things out logically on his own. Indeed, he argues that a lot of algebra, trigonometry, and other math can't even be truly understood well, without a grasp of the basics of calculus first. And calculus can be developed through discovery and self-insights, not just rote study. "With this book, I am advocating a process of conceptual arson. 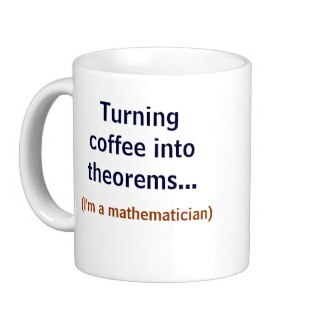 The state of mathematics education all over the world has degenerated to a point where it no longer makes sense to do anything but burn it all down and start over. We begin by doing just that. In this book, mathematics is not approached as a preexisting subject that was created without you and must now be explained to you. Beginning on the first page, mathematics does not exist. We invent the subject for ourselves, from the ground up, free from the historical baggage of arcane notation and pretentious terminology that haunts every mathematics textbook. The orthodox terminology is mentioned throughout, and used when it makes sense to do so, but the mathematical universe we create is entirely our own, and existing conventions are not allowed in unless we explicitly choose to invite them. "The result is an approach that requires zero memorization, encourages experimentation and failure, never asks the reader to accept anything we have not created ourselves, avoids fancy names that hide the simplicity of the ideas, and presents mathematics like the adventure it is, in a conversational form that could easily be read as if it were a novel." Wow! quite a tall order! 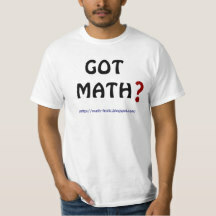 In the end I'm just not sure if this fresh approach to teaching math will succeed with those who most need it. As someone very much ingrained in, and the product of, the old way of learning math, I can't objectively judge the effectiveness of Wilkes' approach. So I'll be curious to see if this book gains traction over time, or what the reviews of more general readers, who've spent less time with 'old' math than myself, have to say. I've long believed that there is NO one best way to teach math, so I don't doubt that Wilkes' approach will appeal to, or be effective with, many, the question is HOW MANY? 15% of students, 50%, 90%; I just don't know? At times I got lost in Wilkes' explanation or pedagogy, but again, maybe my brain is simply too conditioned with past habits to be open to his novel presentation. He is trying to speak to those who are more of a blank slate on mathematics and eager to be shown a fresh way. Sometimes while reading the text I found myself flip-flopping between, 'well, isn't that clever/interesting,' and 'well, that's pretty dense/turgid.' One section giving me hope though was his chapter on trigonometry. Trig was my worst math subject in high school. I was skilled enough at memorizing things to still get a decent grade, but was frustrated that I really didn't understand it. Eventually, I went to our teacher and asked a bunch of "why" questions ('why is this done in the first place,' 'why does this make sense,' 'why did anyone even think to try this,' etc...). I was further frustrated when the teacher couldn't satisfactorily answer such questions... indeed, I'm not sure he ever even understood what I was asking! Wilkes' chapter here makes more sense to me than the typical secondary school text ever did. His account of logarithms also is more enlightening than what I experienced in high school. So maybe his other treatments of algebra and calculus likewise will get through to those struggling with traditional approaches. I'm thrilled that Wilkes made this personal effort and a little surprised there hasn't been more buzz about his unconventional volume. Here's hoping plenty of people (especially students and calculus teachers) read it... not because I'm sure they'll like it (I honestly don't know)... but we will only get a sense of its effectiveness if LOTS do read it and report back. Even if the book fails to resonate with its intended audience, I hope it at least encourages others to develop their own non-traditional, intuitive approaches, instead of following lockstep what has already been done before over and over again... mostly to extended yawns and complaints. Wilkes is currently a grad student in evolutionary psychology, but with Bachelors and Masters degrees in (mathematical) physics -- I'm not quite sure how one makes that transition (and writes a quirky book at the same time! ), but perhaps that is all emblematic of his distinctive approach to mathematics and learning!? 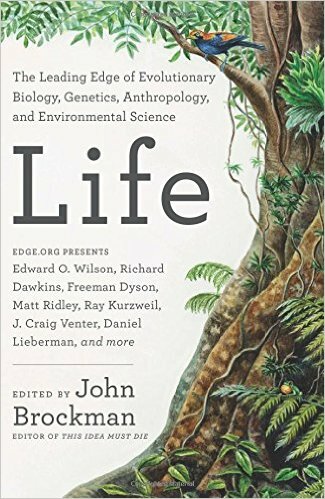 Interestingly though, the only other two back-cover blurbs for the volume come from evolutionary psychologists and not mathematicians. It's too early to mean much, but the Amazon page for his book is currently splitting between 5-star (mostly) and 1-star ratings... mirroring my own conflicted judgment of an A+ for Wilkes' effort and a wait-and-see attitude for the book's success or effectiveness. "They recently tested a group of schoolgirls. They asked, 'Where is Mexico?' Do you know that most of the kids had no idea where Mexico is? I'm using this only to illustrate the fact that -- and pardon me for saying so -- the average American is amazingly ignorant about just about everything. If he were better informed, how could he reject evolution? If you don't accept evolution, then most of the facts of biology don't make sense. I can't explain how an entire nation can be so ignorant, but there it is." People wonder how-in-the-world the Trump phenomena has happened? Well, those 2001 students, and their relations, are today part of the electorate. If you've enjoyed any of the several latter-day popular volumes (by Derbyshire, du Sautoy, Rockmore, Sabbagh) on the Riemann Hypothesis, and are ready for something a little more mathy or technically meaty on the subject, Barry Mazur's and William Stein's "Prime Numbers and the Riemann Hypothesis" is for you (David Mumford calls it, "a soaring ride"). This slim, terse volume by a couple of excellent math explicators comes in at about 140 pages... but if you eliminate much of the white space and the diagrams/illustrations, you are probably left with less than ~60 pages of text to read (of course the diagrams are essential to making sense of the text, but still there is a brevity of reading). 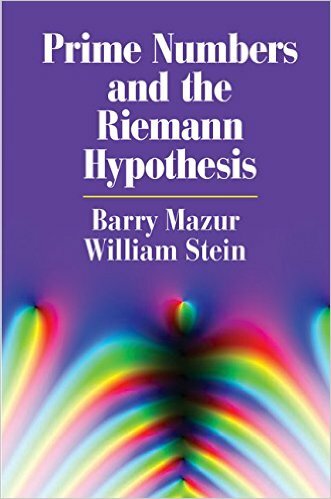 If you are not particularly interested in the Riemann Hypothesis (I know some folks are engrossed by say, P vs. NP, but shrug at the RH) the book is not for you... it is not a "fun" or entertaining read, but a serious, if succinct, treatment of what many consider the most important, fascinating unsolved problem in all of mathematics; one upon which a great many other important conjectures depend. For someone like myself it is a very rich read, though I suppose for someone already deeply/professionally entrenched in the details of the RH it may be a more perfunctory treatment. One suspects it will become a staple read for many college number theory courses. Anyway, this book will certainly make my year-end list of best popular math books for 2016, even though it does not fit the "general audience" criteria as well as other volumes typically on that list.